When life gives you lemons, make lemonade. 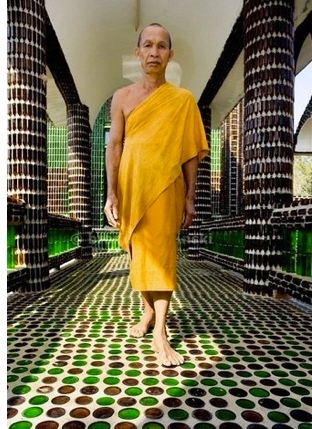 And if you are a Buddhist monk and life gives you empty beer bottles . . . build a temple out of them. 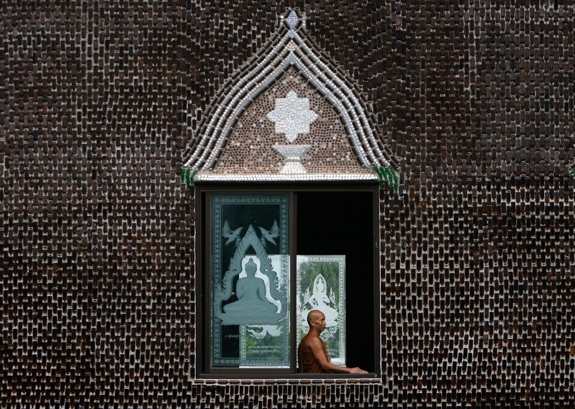 That was the philosophy of a group of Thai monks in the early 1980s who looked at the innumerable glass beer bottles littering their eastern Thailand hometown of Khun Han and saw more than trash. They saw potential. 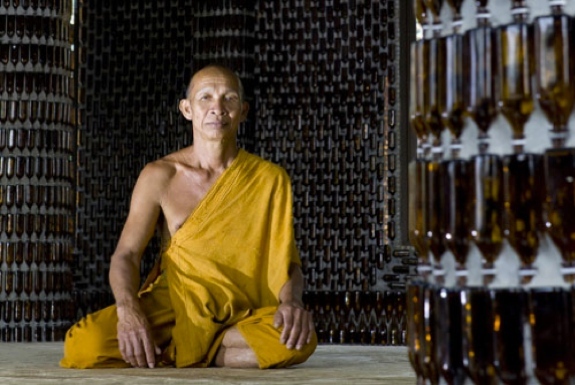 At first, the monks picked up a few of the bottles to create artistic decorations from. Then they gathered more discarded vessels to build a modest monk living quarters. 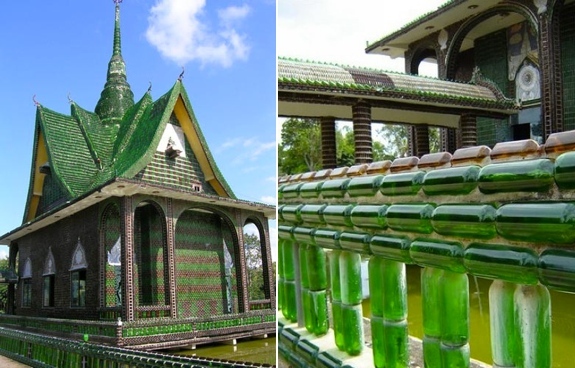 Eventually, they decided to construct an entire temple out of found beer bottles. 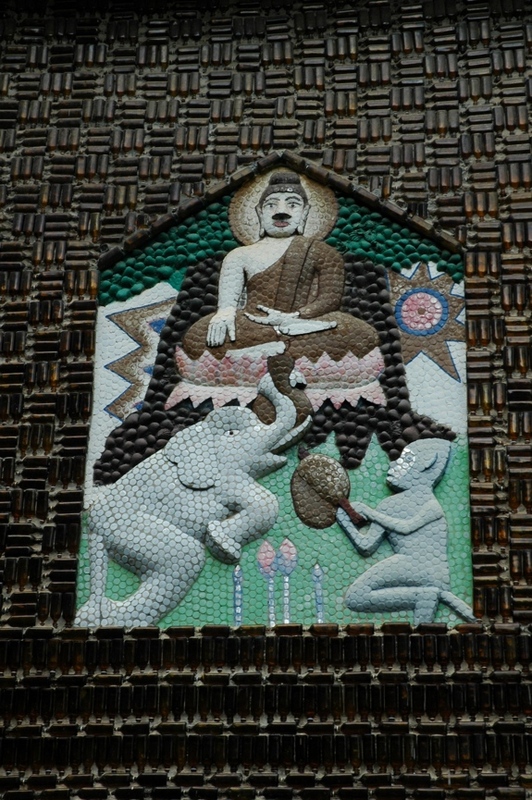 The temple, formally known as Wat Pa Maha Chedi Kaew, is today the pride of the town. 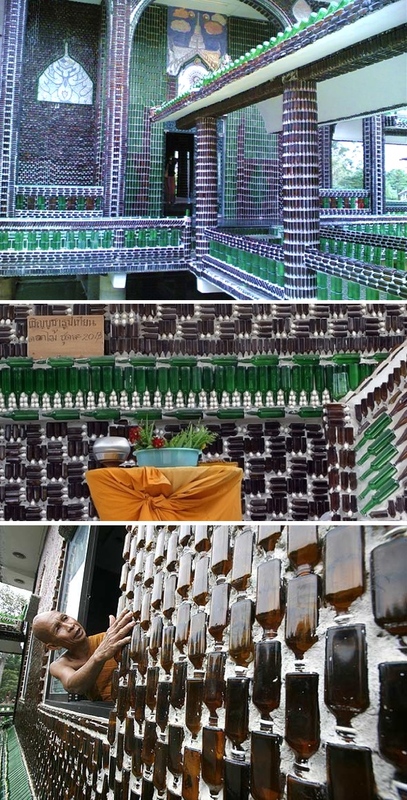 One thing you won’t see these days on a visit to Khun Han are many beer bottles littering the streets. 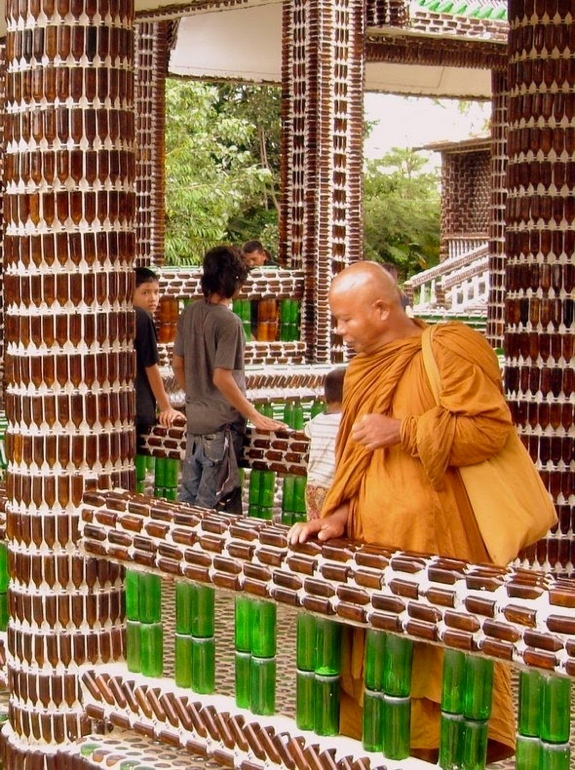 The townspeople bring virtually all their used bottles directly to the temple. One wonders what the monks will build from them next. 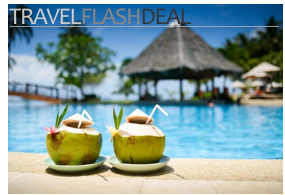  Resist the urge to sing “99 bottles of beer on the wall.” And, as with visiting all temples in Thailand, don’t wear shorts or skirts that end above the knee. 8 Absolutely Bizarre Items You Can Buy on Amazon ← really! Wow! If someone can tell me a better reason to drink beers then please tell me. I just don’t think the partner will believe “I am drinking these beers so I can be creative and build a temple.” I guess it is worth a try though, haha. Wow, that’s pretty amazing. It reminds me of the 10,000 Buddha temple in Hong Kong. Brett recently posted..There Are No Women on Dating Sites! The monks of Wat Lan Kuat thank you for your contribution, Greg. Who knew drinking beer could qualify as a tax-deductable charitable contribution?